Riding the reflation theme and selectively locking in profits. Our picks generally did well in October. With the exception of Tianjin (-4.6% mom), most of our alpha picks delivered absolute returns with several stocks such as Memtech (+18.9% mom), Wing Tai (+11.1% mom) and Thai Bev (+8.9% mom) delivering stunning returns. Tianjin’s 3Q17 results were below due to a miss by its associates but despite our earnings forecast cut, we still think valuations and growth prospects remain compelling. Locking in Memtech’s outperformance and adding in GL as a deep value play. While we remain optimistic on Memtech’s outlook (BUY/Target: S$1.33), we would tactically lock in some profits after its 18.9% mom rise in October. In keeping with our asset reflation theme, we add in newly initiated GL Limited as an alpha pick given its undemanding valuations. 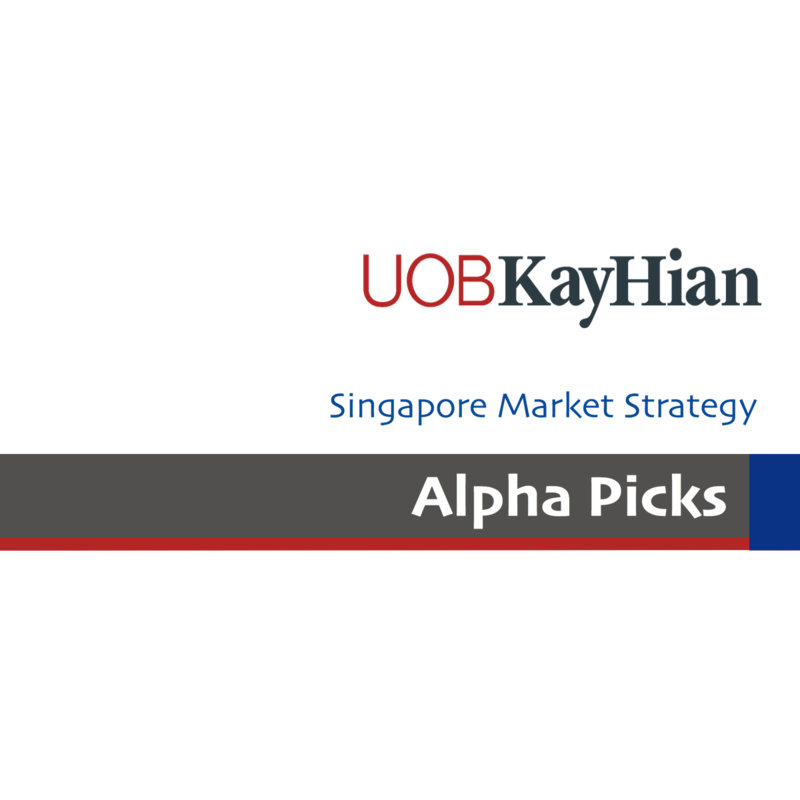 Initiate coverage with a BUY and a conservative SOTP-based target price of S$1.185. Owner of prime hospitality assets, with over 4,700 hotel rooms in London. New managing director (appointed on Sep 16) could signal a streamlining of assets, including disposal of non-core businesses. Event: Sales of non-core businesses including Clermont Casino (UK) and Molokai, Hawaii land. Another possible catalyst is privatisation as shares are trading at a deep discount to SOTP. Timeline: Potential asset disposals in the next 3-6 months. Potential special dividend after the successful listing of NetLink Trust in Jul 17. We estimate a special dividend of 9 S cents/share, based on 65% of the total IPO proceeds. Telkomsel continues to maintain double-digit growth in subscriber base and revenue growth from voice and data. Bharti should start to recover in FY19 due to industry consolidation (Bharti recently merged with Tata Teleservices’ consumer mobile business). Maintain BUY and DCF-based target price of S$4.53 (6.1% required rate of return and 1.5% terminal growth). Event: Potential announcement of a special dividend together with its 1HFY18 results. Timeline: Release of its 1HFY18 results on 9 November before the commencement of trading. BUY with RNAV-based target price of S$2.61, pegged at a 25% discount to RNAV of S$3.48/share. Wing Tai is trading at 0.61x 2017F P/B (lowest within our coverage) and a deep 39% discount to RNAV. Event: Launch of the recently-acquired Serangoon North Avenue 1 site. We also see potential for Wing Tai to buy more landbank given its S$1.5b acquisition headroom. Expanding via M&As. SATS recently announced plans to provide catering services to Turkish Airlines when the new Istanbul New Airport opens in 2018. It also announced an extensive JV with AirAsia for ground handling at Malaysia. SATS’ inflight catering ASP will likely stabilise in the coming quarters as pressure on airline yields abates. Our target price of S$5.40 implies 23.5x FY18F PE and a dividend yield of 3.5%. Event: Higher cargo volumes, stabilising inflight catering ASP. Timeline: Release of 2QFY18 results on 9 November after the market close. We expect increased sales volume in 4Q17, as sales agents typically build up inventory ahead of excise tax hikes. Also, there could be margin expansion as THBEV is able to pass through 100% or more of the excise tax increase to customers through higher ASPs. We have an SOTP-based target price of S$1.09. THBEV is trading at 21.1x 2017F PE, which is still lower than global average of 37.3x 2017F PE for spirits peers, 24.8x for beer companies and 30.1x for NAB companies. Event: Recovery of alcohol consumption will likely enhance earnings for 4Q17. We also expect increased sales volume in 4Q17 prior to the excise tax hike in September and the end of the mourning period. BUY with a US$1.50 target price, based on peers’ average FY18F PE of 14.6x A renowned TCM pharmaceutical giant, TJZX presents a unique opportunity with a deep discount between its A- and S-shares. Event: SOE reforms, M&A newsflow and gradual ASP increases. Timeline: 4Q17/1Q18 results as higher ASPs gradually flow through to earnings and with potential upside from SOE reforms. CEL's recent contract win of Rmb4.2b should provide investors with more assurance over its medium-term prospects and provide earnings visibility. We have a street-high DCF-based target price of S$1.10, implying a 39% upside. Event: Potentially more contract wins that could underpin FY18 earnings. Timeline: 3-6 months, as clean water is a high priority for the Chinese government. This would benefit the company, which has an impressive track record and technology.